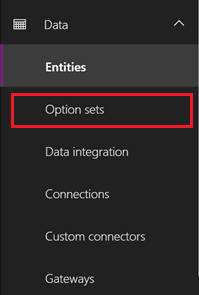 The use of global option sets in Dynamics is normally considered a best practice, the obvious advantage is the ability to reuse the same list of options in multiple fields inside the same entity or a different one. External Value is intended for Virtual Entities, I understand it's not an everyday situation to deal with it, but this gives you another reason to avoid local option sets. Today we live in the world of CDS and PowerApps, but the choice between local and global option sets is also inside the Canvas mode. If before the creation of fields was handled generally by System Administrators (in what we call today model-driven apps), today a larger set of user can face this dilemma. "Local option sets can only be used by the entity and field they are created against, and cannot be reused on other entities. This approach is only recommended for advanced users that a specific need for a local option set." 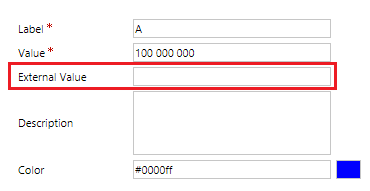 teach your users that the options inside a global option set will be available in all the fields using that option set, so if you add or remove options this will affect also other fields created by different users based on the existing option set.